Sweet Defense™ / 60 caps - Nature's Way®. Take 2 capsules three times daily with or after meals. What other products can I take for blood sugar metabolism support? Can I use Sweet Defense when I have a food or sugar craving or do I have to use it for a certain period of time to see results? 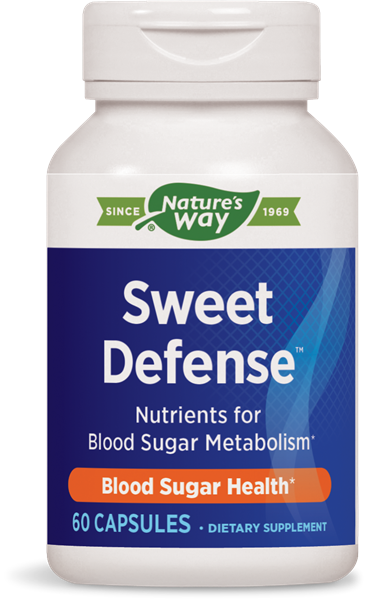 Sweet Defense helps keep blood sugar metabolism in balance. * Take it regularly daily or after meals for best results. Do not use this product if pregnant or nursing. If you have diabetes, or are taking any medications, consult a healthcare professional before use.